A digital healthcare system which improves the management of hospital in-patients living with type 2 diabetes has been shortlisted for the ‘Best In-Patient Care Initiative’ award by the Quality in Care (QiC) Programme. The innovation, developed by clinicians and IT experts at Sandwell and West Birmingham Hospitals (SWBH) NHS Trust, will help reduce risks, promote good practice and improve patient lives. There are currently 3.8 million people in the UK with diabetes and the latest research shows that Midlands cities have some of the highest rates of diabetes in England, this includes just under 10% of people aged over 16 living with diabetes in Birmingham, Walsall and Wolverhampton. 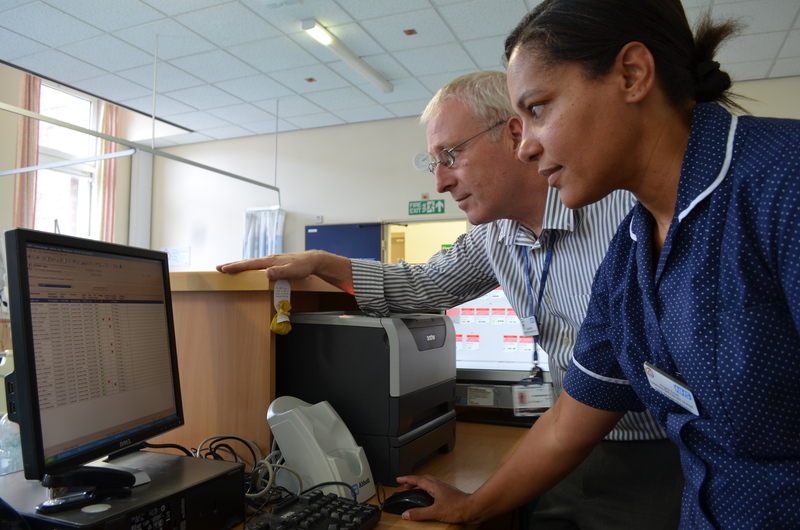 Driven by the national ‘Think Glucose’ project to improve care for patients admitted into hospital with non-diabetes related problems, SWBH NHS Trust developed an additional programme on the Trust electronic patient management system to include a Think Glucose assessment. The initiative helps all clinical staff to ensure that the Think Glucose assessment is carried out on all diabetes patients after admission, confirming that patient care is benchmarked in real time against the national Think Glucose criteria. Dr Bob Ryder, consultant in diabetes, and clinical IT lead for the ‘Think Glucose’ project said, “Because there are so many people with diabetes in our locality, at any one time we have far more people with diabetes in hospital than most other hospitals in the country. There are so many that the diabetes consultants and diabetes inpatient specialist nurses cannot see them all. There are nationally agreed criteria for which patients the specialist team should see whilst they are in hospital. The innovation is a big improvement on what we had in the past which relied on phone calls, faxes and letters which were slow and led to delays. Other hospitals across the country are now considering copying the idea”. Using the system, patients benefit from early diagnosis and better care each time they attend hospital as the marker stays visible on their records for other clinicians to see. Doctors and nurses can add markers to a patient’s electronic record and that automatically sends an email alert if the patient is in danger of developing active foot health problems that needs specialist intervention. Dave Kiffin, Trust EPR Implementation Analyst said, “The early identification of patients with diabetes was the brainchild of consultants Peter Davies and Bob Ryder, working with myself and Rob Jones in IT to create visual markers that identify patients suffering with the disease. Winners of the award will be announced at a special ceremony at Sanofi’s Guildford headquarters on Thursday October 10, 2013.